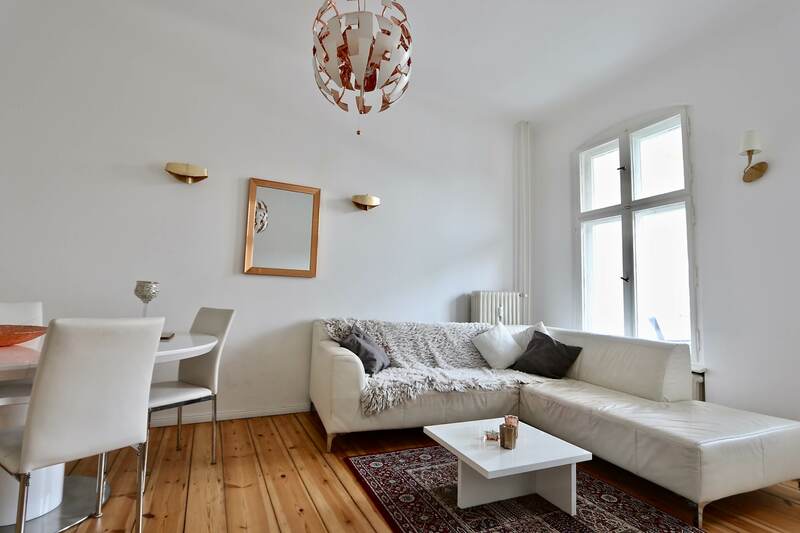 While using the stairwell, you will sporty reach this beautiful and furnished apartment located on the third floor of an Altbau building (there is no lift). 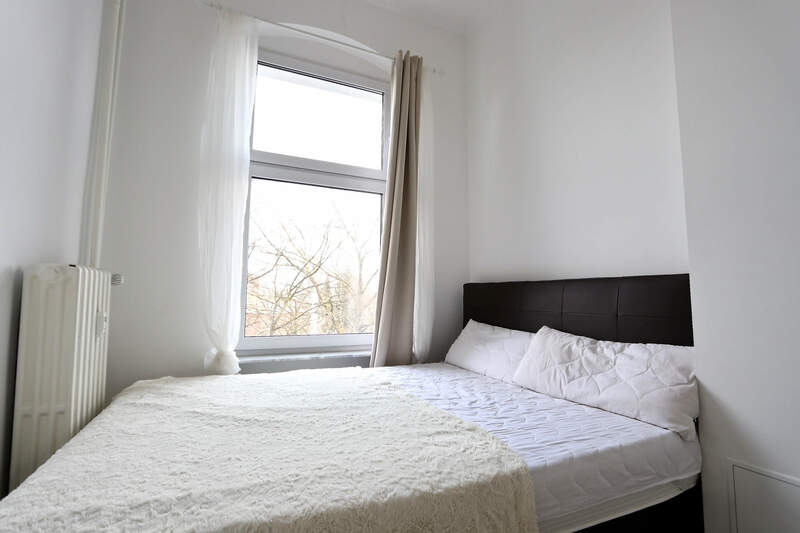 From the entrance, you will directly find the living-room with an opened and equipped kitchen, such as the two high-quality furnished bedrooms. 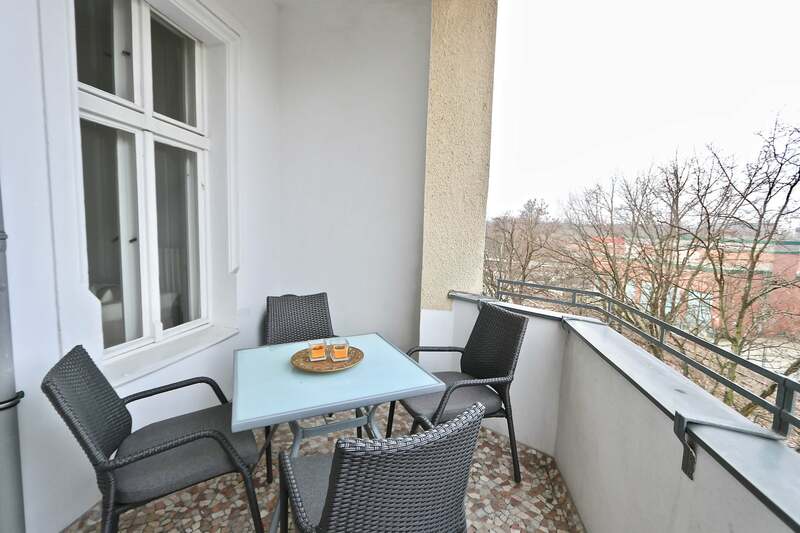 From the living-room, you will access to the generous balcony. 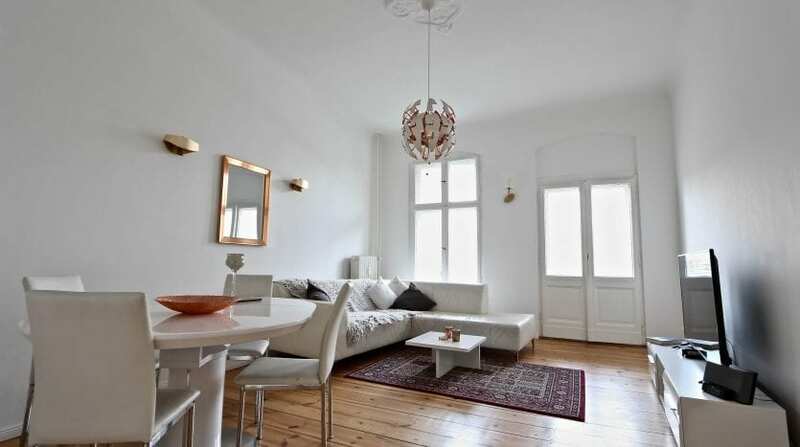 You will take advantage of the luminosity and the friendly character of the apartment. 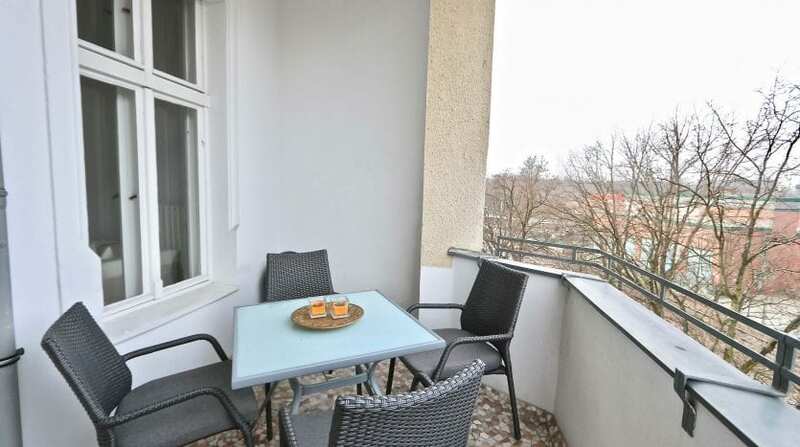 Visits can be organised as soon as possible, after discussions. 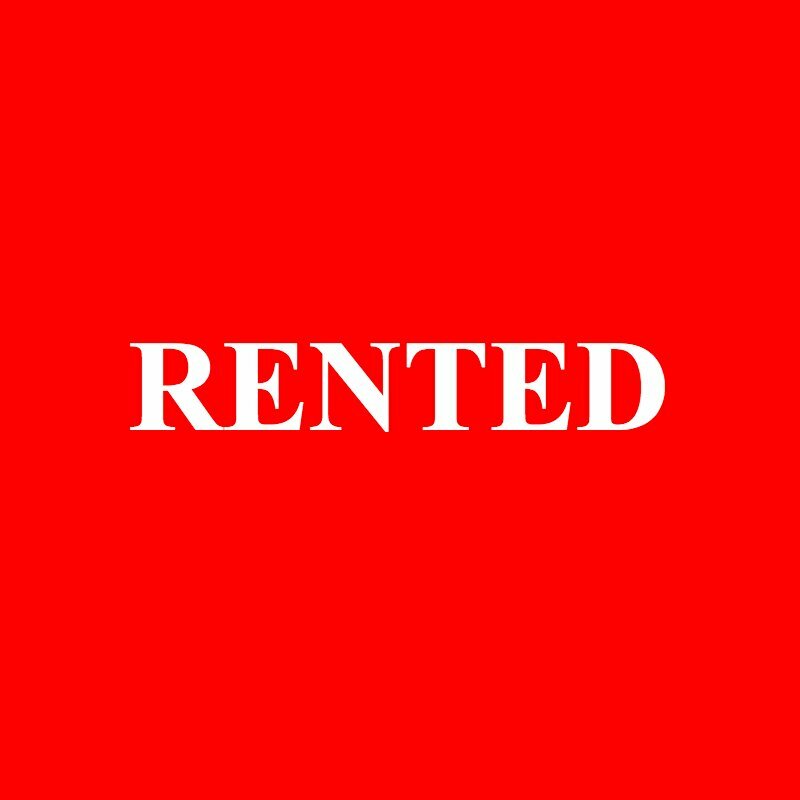 The apartment is rented furnished and is immediately available. 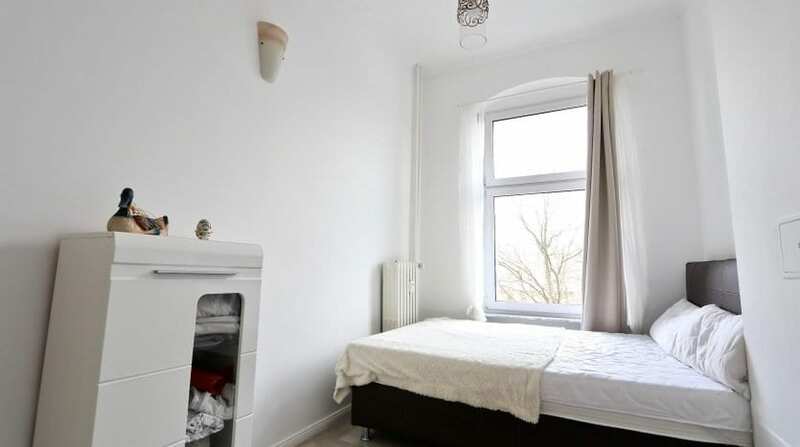 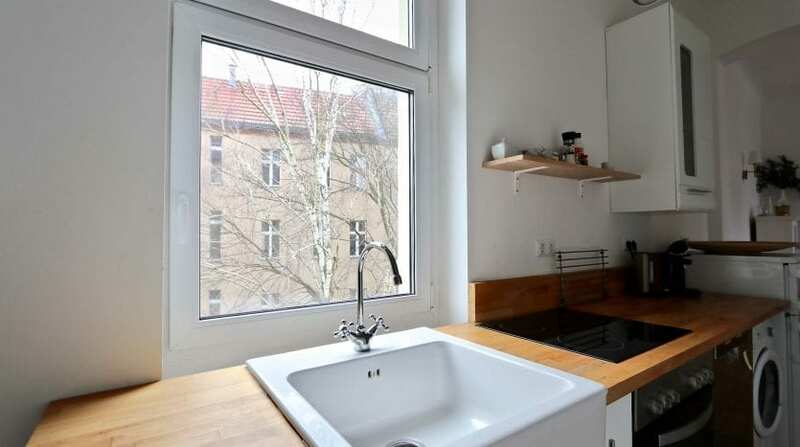 All costs (heating, electricity, hot and cold water, internet) are included in the rent. 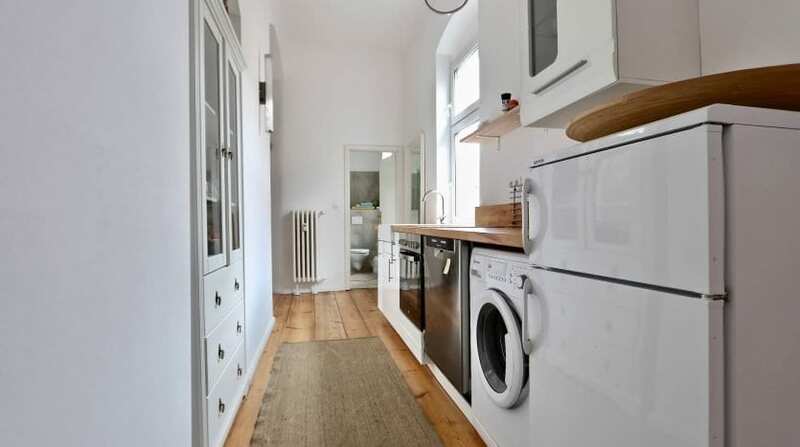 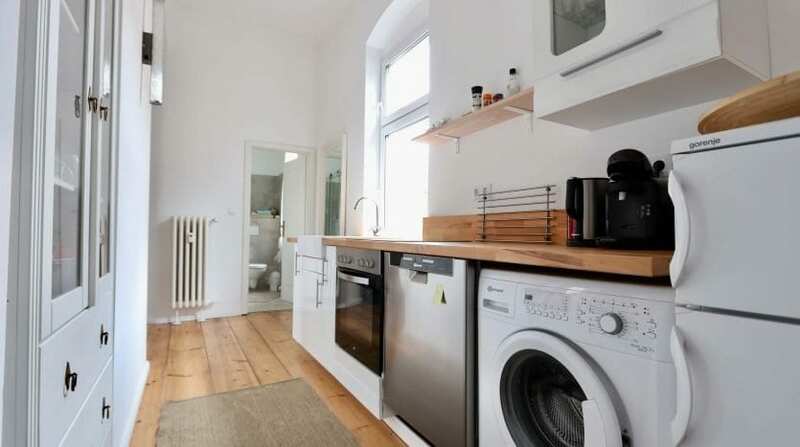 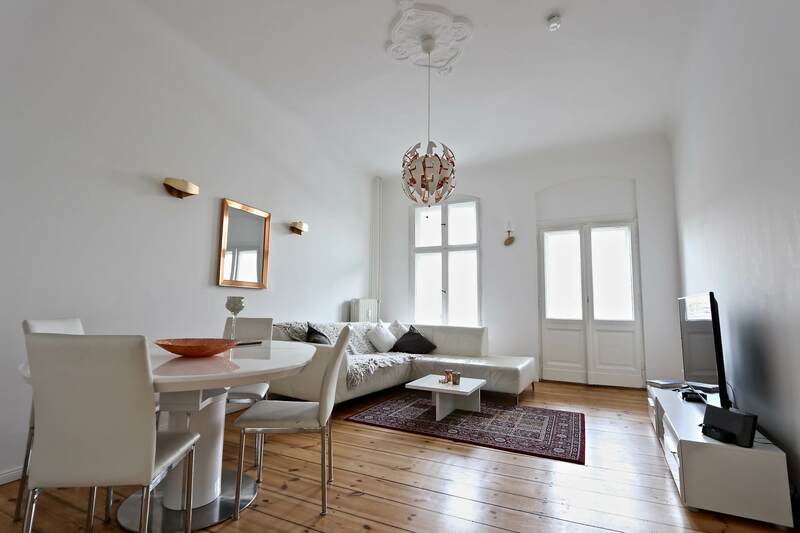 This apartment is located in the Bornstedterstrasse 9. 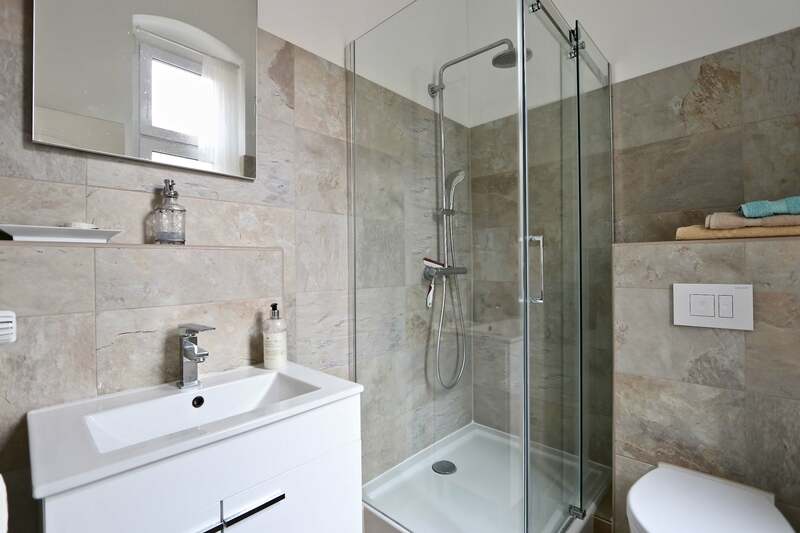 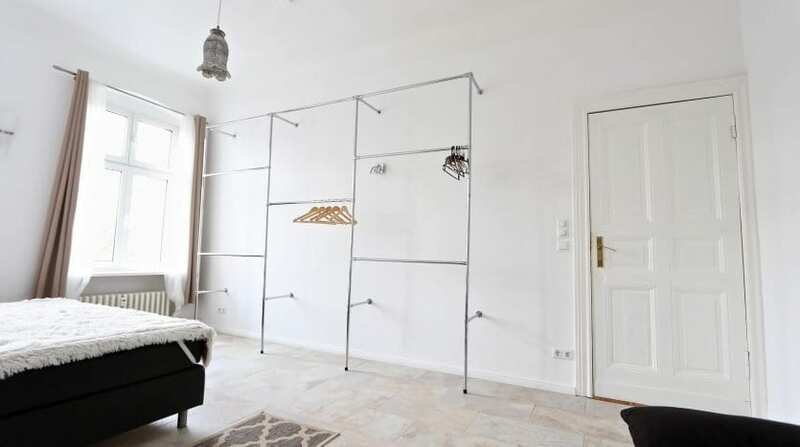 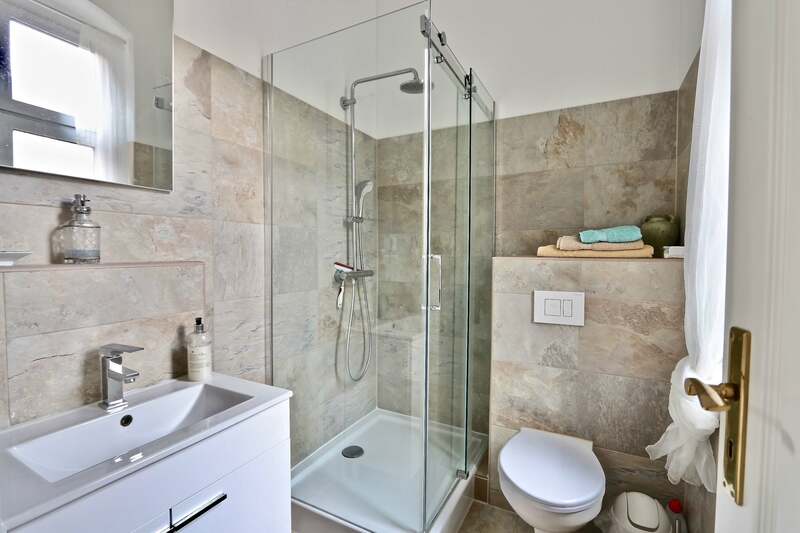 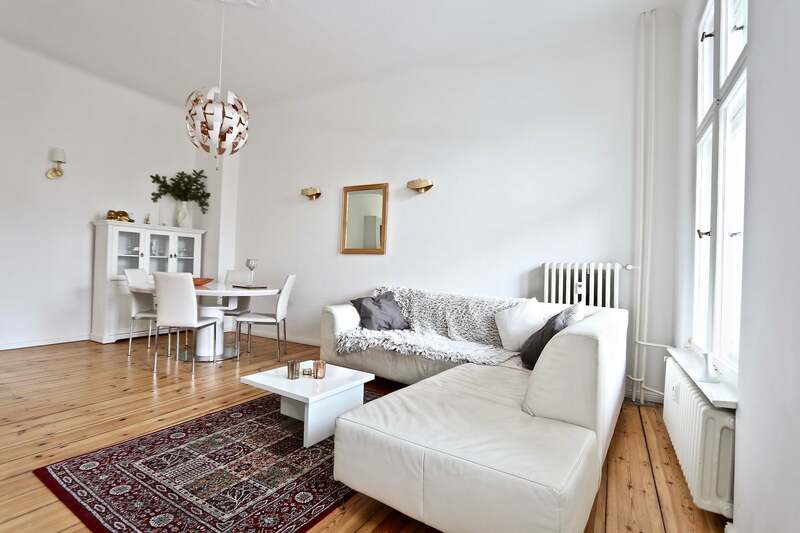 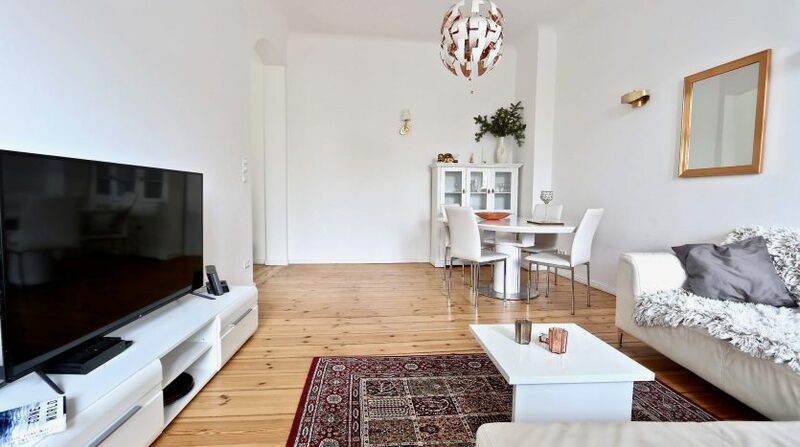 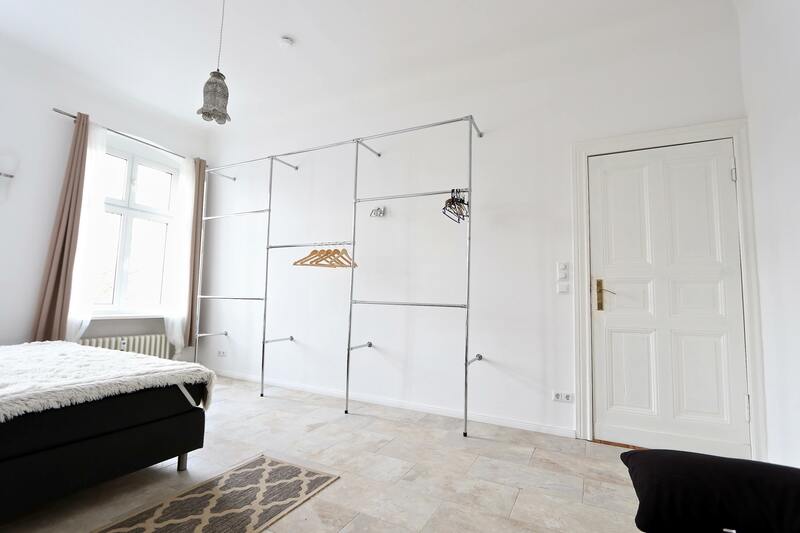 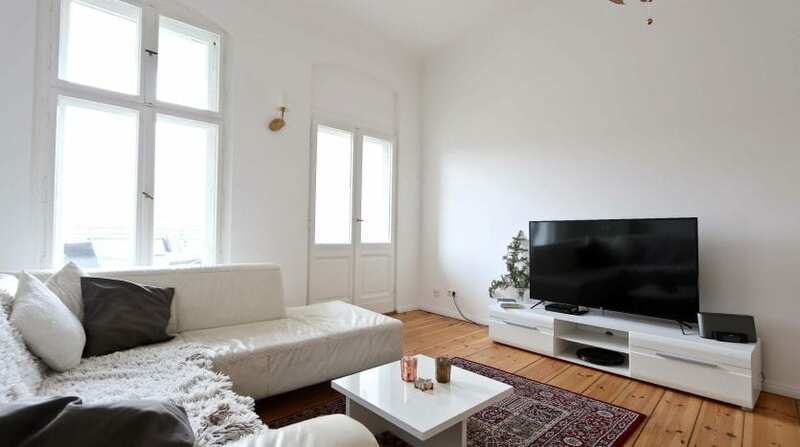 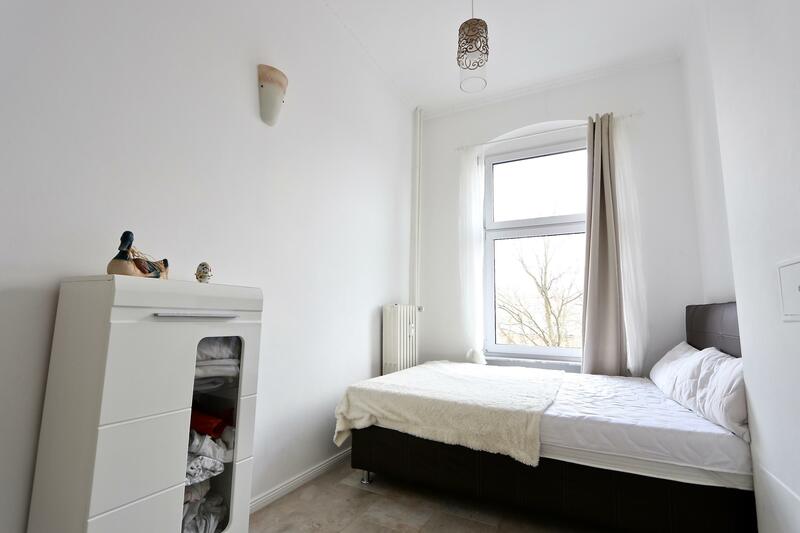 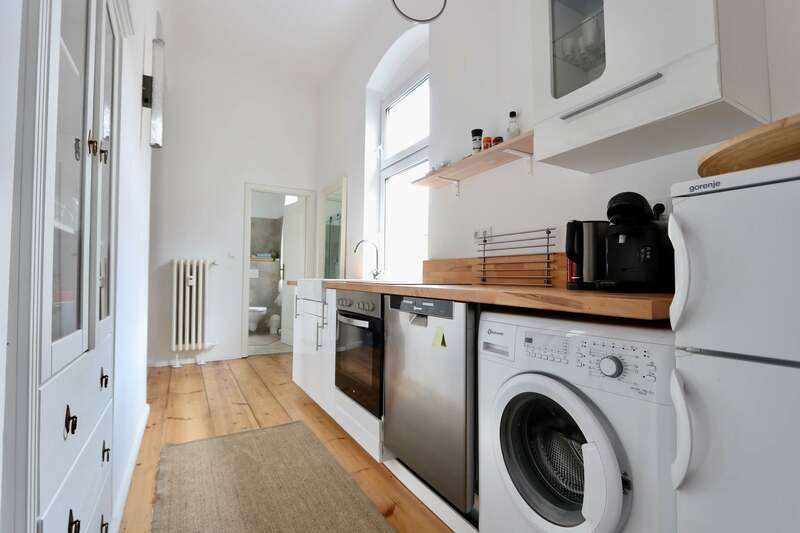 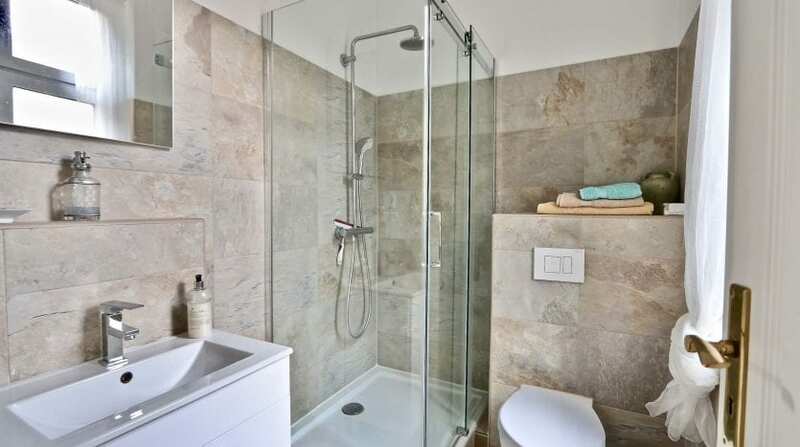 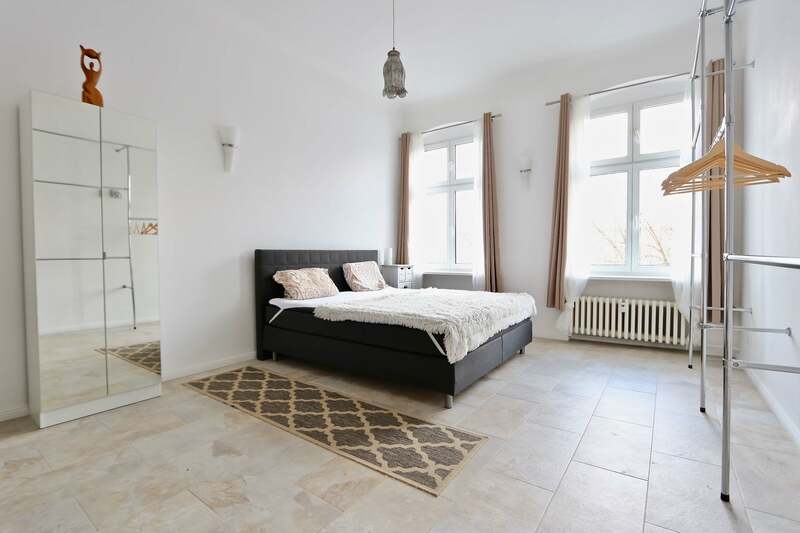 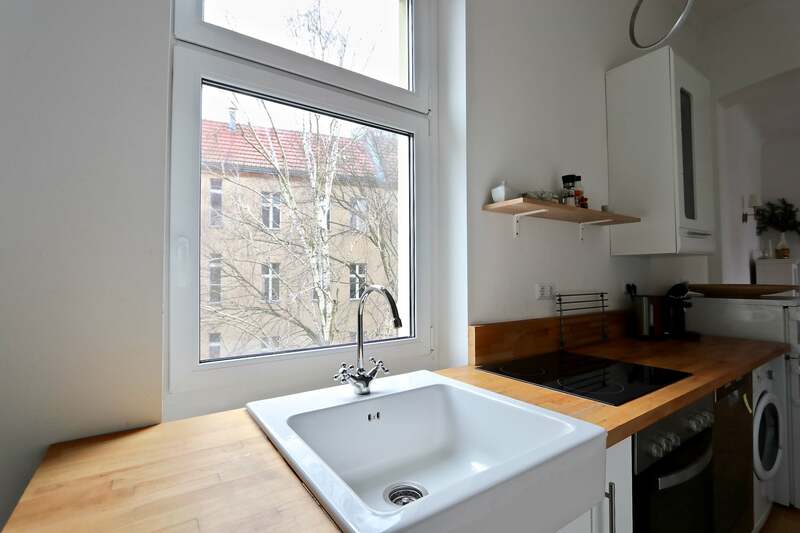 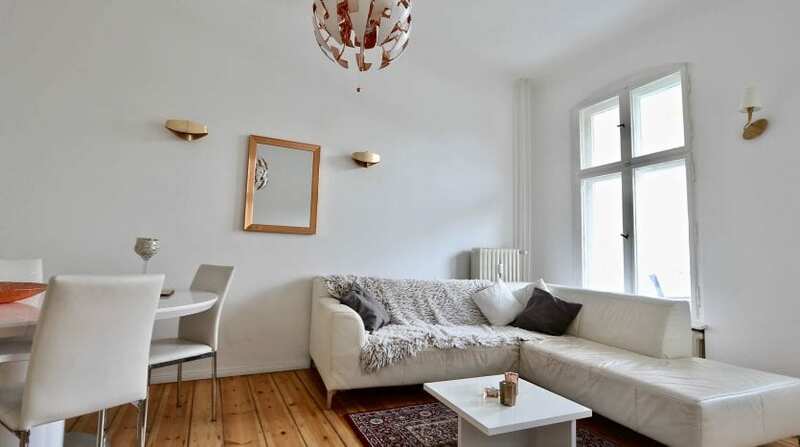 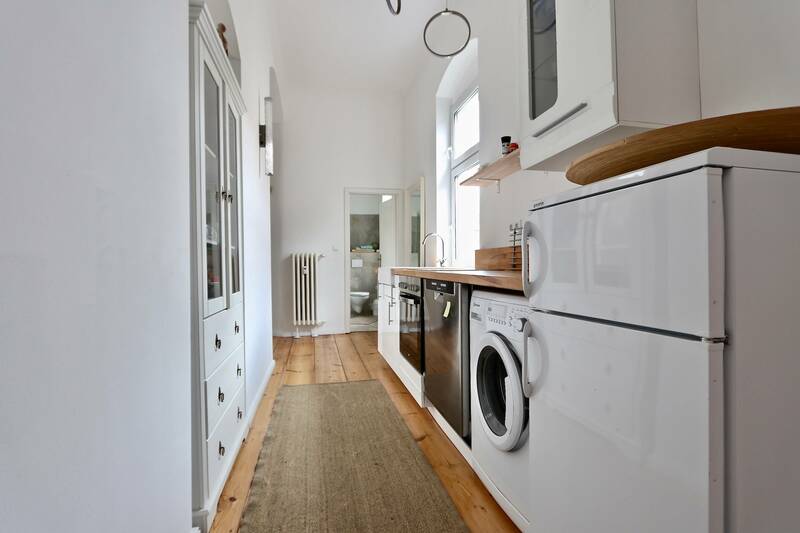 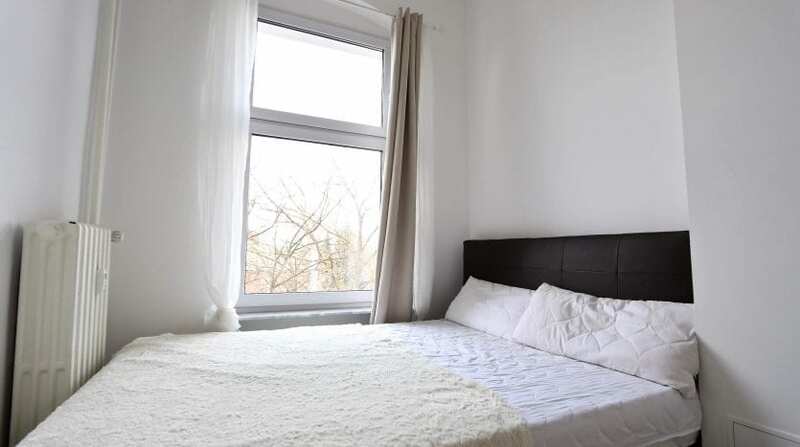 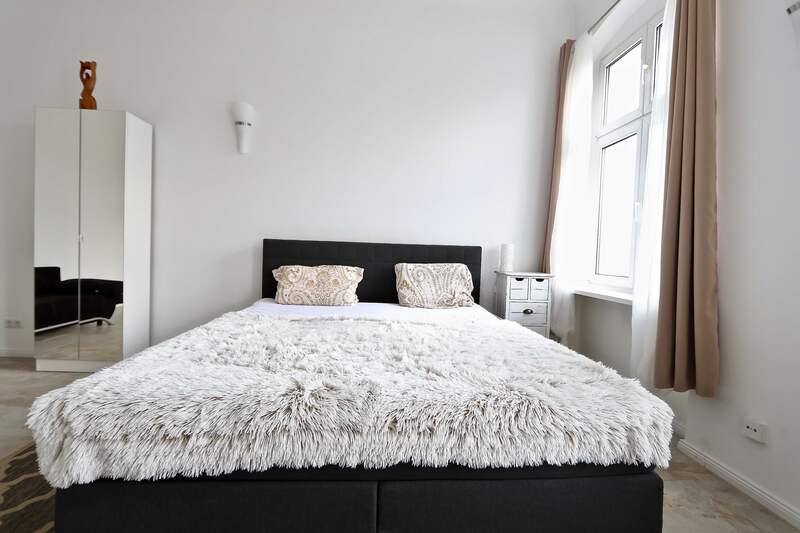 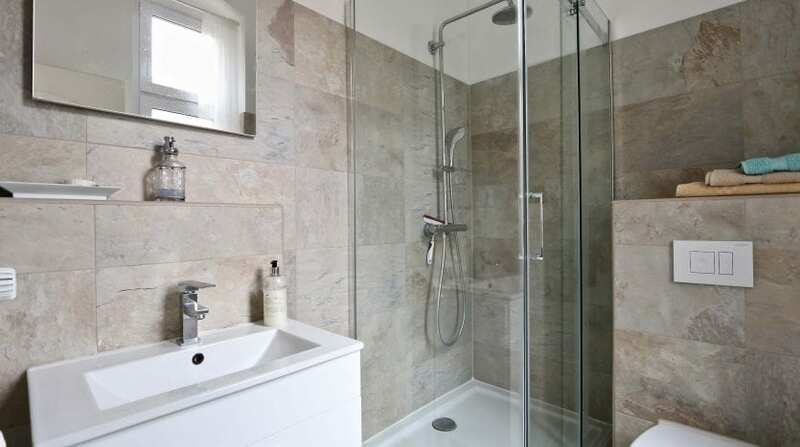 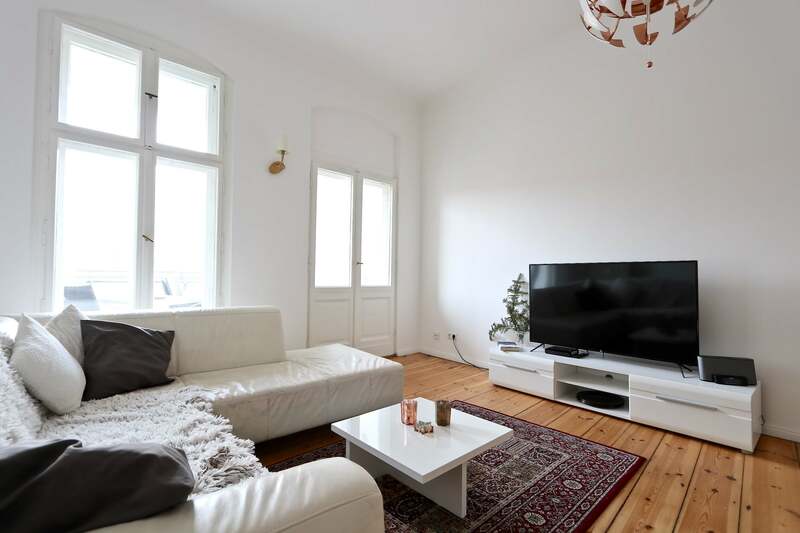 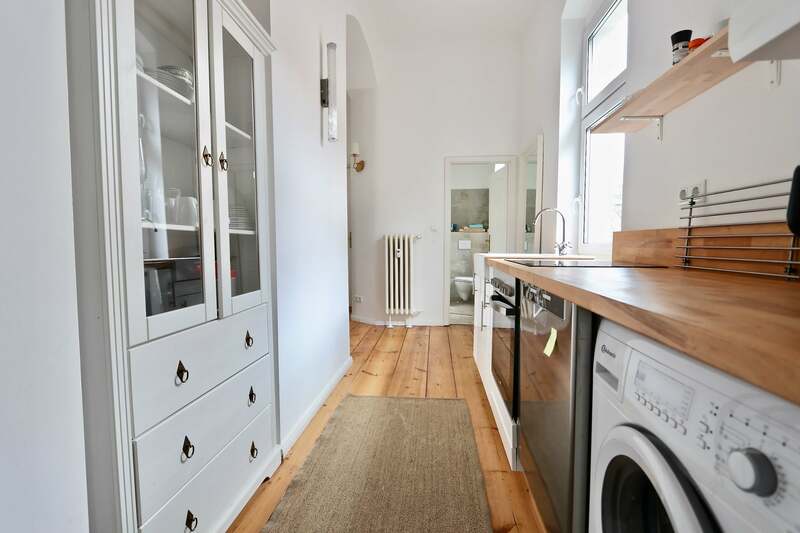 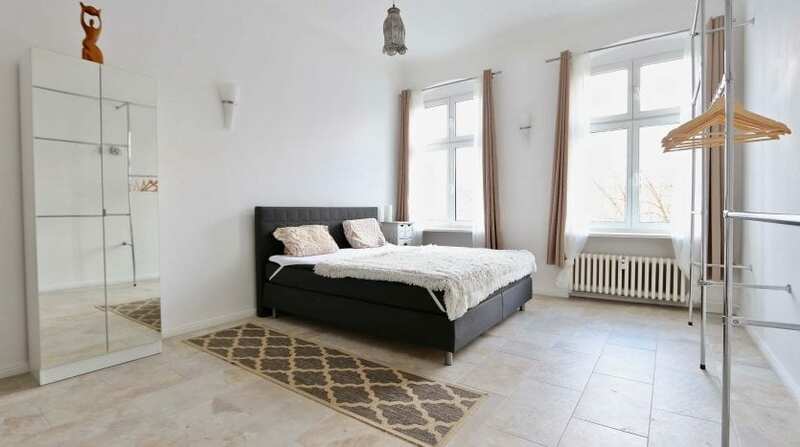 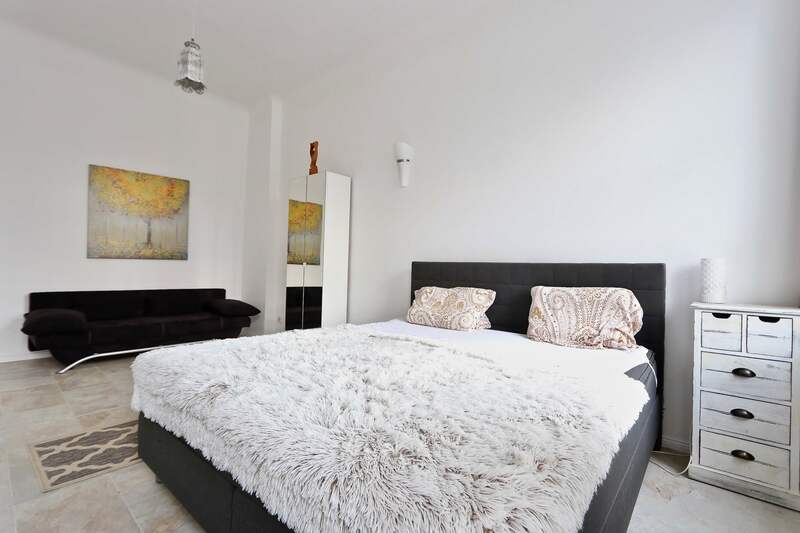 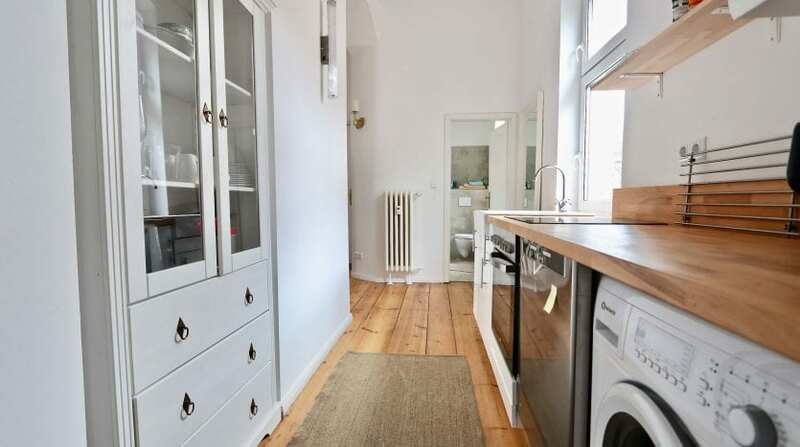 Situated in Halensee, you will take advantage of Charlottenburg and Wilmersdorf while living in the close proximity of the eponomys district Halensee. 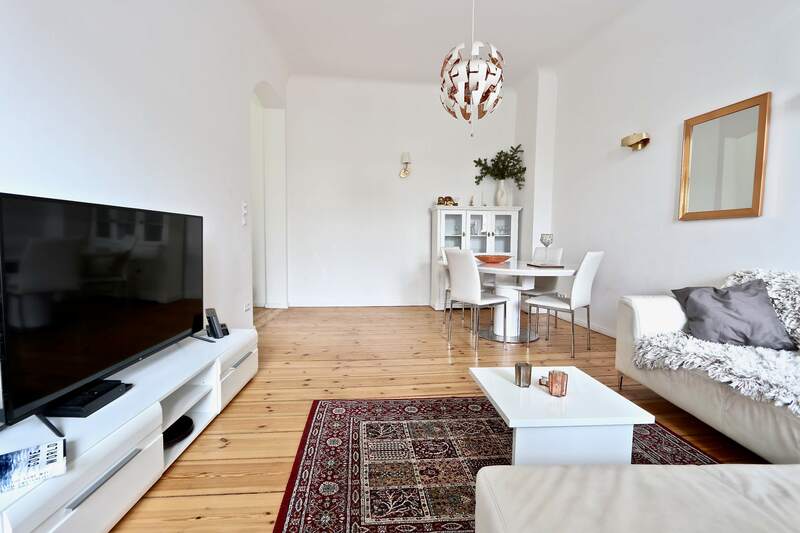 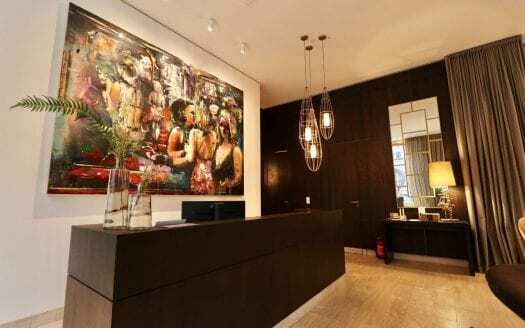 The housing has an excellent transport connexion and for strolling, the Kuhrfürstendamm is the perfect destination at less than a few minutes walk. 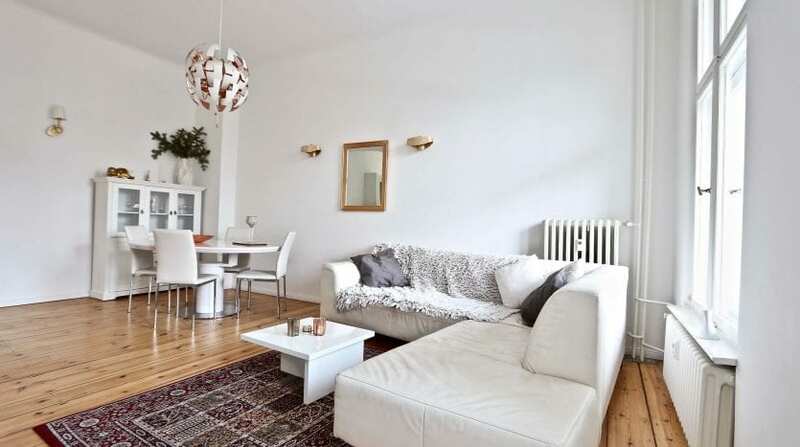 Numerous cafés, restaurants and shopping possibilities are reachable on foot.